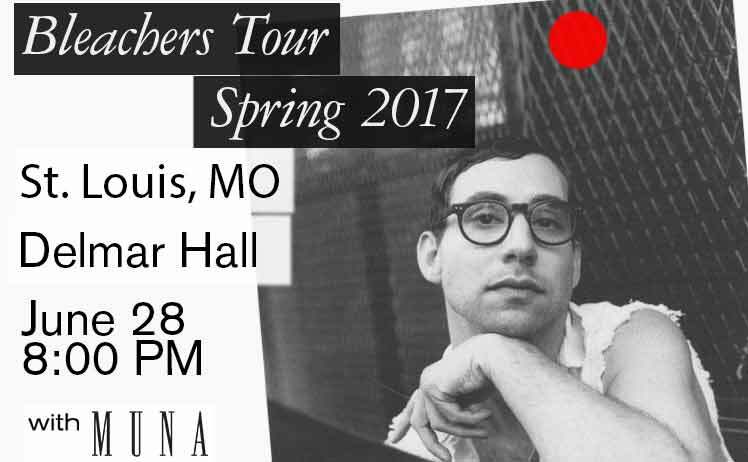 Jack Antonoff brings his American indie pop act to Delmar Hall on Wednesday, June 28. Antonoff is also a member of the Steel Train and Fun. Bleachers music is said to be heavily influenced by late 80s, early 90s music, as well as John Hughes films. Bleachers first single, “I Wanna Get Better” is currently being played on pop and alternative rock radio. Antonoff has three Grammy Awards to his credit, as well as a pair of Golden Globe nominations. Bleachers will be joined at the show by Muna. The show will begin at 8 p.m. at Delmar Hall, which is located directly next door to The Pagent. Visit thepageant.com for more details.